Perhaps you saw the “What Happens With…” tab and diagram on the FAQs page and wondered? Well, I’m so excited to share with you this year’sharing world mission recipients, John & Kristi Craig & their 3 kiddos – Nori, Banner, and Millie. Through Wycliffe, the Craig’s are working on improving water and power infrastructure as well as ministering in Ukarumpa, Papua New Guinea. Though their internet is intermittent, the Craig’s created a website before they left. 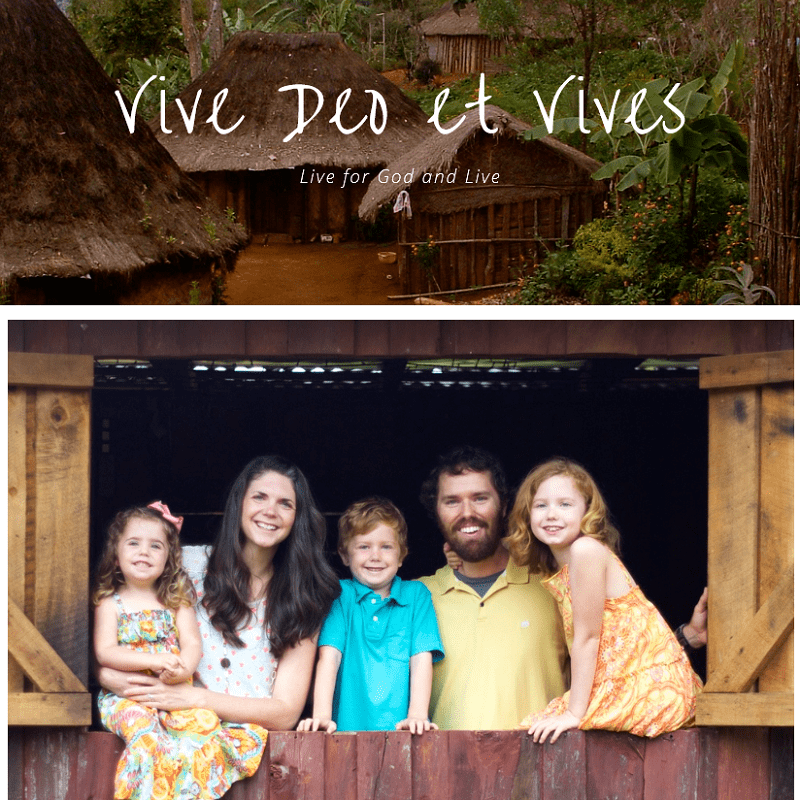 You can follow their, often buggy, adventures here: Live for God and Live. When praying about who Knit Eco Chic should share with, God kept bringing to mind John. Growing up my sister had a small close circle of friends who became part of our family through many movie nights, suppers, and intense games of scrabble, taboo, and scattergories. One of the group was John. Like any good surrogate big brother, he took the time to teach me his life lessons. For instance, upon graduating from High School, I was told there was only one University worth pursuing – GO WOLFPACKS – where he just so happened to be studying engineering at the time. Scrabble is not a game, it is a war! A war in which the battle and banter continues well after the last letter is placed. Or once while canoeing, he shared his knowledge gleaned from his years of being a camp counselor in North Carolina, “Always check yourself head to toe and front to back for ticks because you never know where they will stick or when.” Thanks John, YEARS later and I’m still petrified of ticks… but at least that particular knowledge is coming in useful for you and your family over in Papua New Guinea! Even more delightful than my John antidotes is the story behind how the Craig’s ended up in Ukarumpa – five years old and told to “go!” The rest of the story is posted here. Thank you so much for your support of my creative endeavors. Through your pattern purchases and designer photo editing jobs, this year we’re able to be a small supporting factor to the lives and individuals in Ukarumpa, Papua New Guinea. Thank you! Thank you for sharing this. Just wonderful to read what He is doing and how we can support them with what they are doing. I love your FAQ page, I may borrow your questions for my blog too. Sure :-). I look forward to seeing your site! So nice and inspiring to see people doing what they love and believe in. There is always hope! Thanks for sharing.